Organic Vitamin D is an important and beneficial product to people over the age of 65, pregnant women, babies and children under the age of 5, and all people devoid of sufficient sunlight to help them convert enough Vitamin D. Read the description for a more detailed explanation! Vitamin D is a Vitamin of great importance to us. Our organism has to synthesize it through sun exposure which is why it is also known as 'Vitamin of the Sun'. Since we remain indoors more and more, many of us do not spend enough time in the sunlight so as to allow our organism to produce the necessary quantity of Vitamin D. In addition, when we are outside, we are often exposed to strong sunlight when, for example, we are on vacation. We then guard ourselves from the sun with clothes or sun lotions and sun protective factors, which in turn influences Vitamin D synthesis. The advice to decrease sunlight exposure as much as possible, in order to minimize the risk of skin damage caused by the sun, additionally impedes receiving enough sunlight for the natural production of Vitamin D.
Since food can provide some quantities of Vitamin D, we can think of its additional daily intake in order to ensure the necessary dose of this important Vitamin. Vitamin D works with calcium in the body by helping its absorption and usage within the organism. Why Vitamin D and Calcium are so important? Vitamin D and calcium constitute a union created by nature. 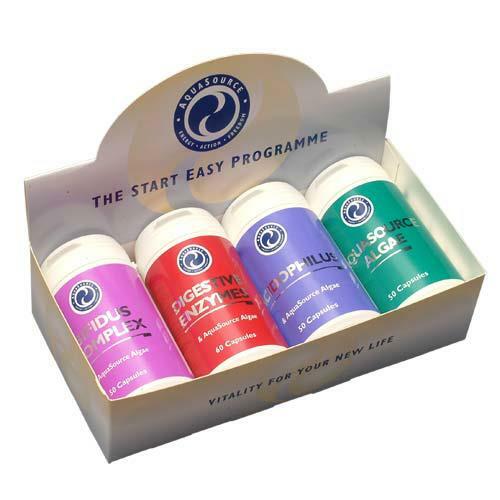 Together, they work in synergy to perform exceptionally important functions. 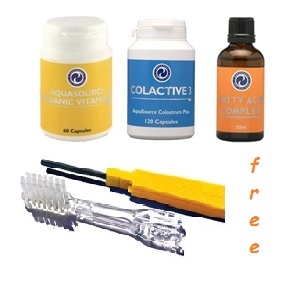 Both aid to sustain normal bones, teeth, as well as muscle function. 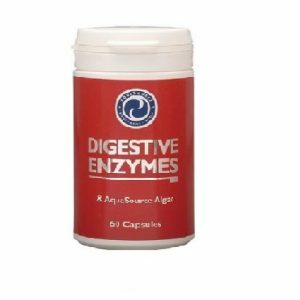 In addition, calcium contributes to normalizing energetic metabolism, neurotransmission, blood clotting and the normal operation of digestive enzymes. At the same time Vitamin D helps the normal functioning of the immune system and participates in the process of cell division. 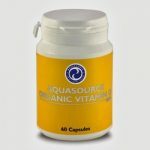 So it is clear that Vitamin D and calcium are very important, but why is AquaSource's Vitamin D product so special? 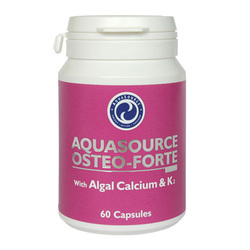 AquaSource believes that the organism processes better naturally acquired foods as opposed to synthetic products. This is why AquaSource ensures that the Vitamins and minerals come from completely natural sources with minimal external intervention or processing. 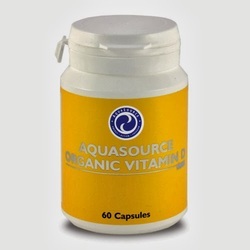 AquaSource believes that the best source of Vitamin D is the white button organic mushroom powder. These are mushrooms with a white part underside their cap, which provide a strong and pure form of Vitamin D2. They are grown without any pesticide usage and minimal processing in order to secure an organically certified powder appropriate for vegetarians, since the processing does not involve any animal products. As a natural source of calcium, red algae (sp. Lithothamnion) is added. They are a rare and unique type of algae known as "the perfect natural source of calcium", which is found not far off the coasts of Ireland. Organic alfalfa is the ideal ingredient interacting with the two main components in order to bring out the most synergic effect. Who might benefit from the additional intake of Vitamin D? people with genetically darker skin colour - for example people with african, afro-arabic and South Asian descent. The role of Vitamin D in immune system health is exceptionally well described and a subject of positive statement by the Panel of Dietetic Products, Nutrition and Allergies (NDA) of the European Food Safety Authority. The department has concluded that: "there is an established causal relation between the alimentary intake of Vitamin D and its contribution towards the normal performance of the immune system and sustainability of regular muscle function."